Over the years I’ve been lucky to have found a human chiropractor that I trust completely, Dr. Harvey in Del Mar, California. There were so many times when my lower back would subluxate and pinch a nerve, rendering me unable to ride. He was always there to perform his miracle adjustment and get me back in the saddle. When I ruptured one of my neck vertebra after a fall at a liverpool riding in a night class in a Grand Prix at Del Mar, all the doctors warned me against neck adjustments by chiropractors and strongly recommended surgery. It was Dr. Harvey who persuaded me to allow him to adjust my neck. I did, and within weeks I was healed. I’ve been to other chiropractors, and I must say, I’ve been disappointed. I have since recommended Dr. Harvey to many of my equestrian friends who have suffered lower back pain. The moral of the story is that when you find the right chiropractic person who you believe in, stick with them and share them with your associates. Dino Fretterd is one of those genius equine massage therapists who I was fortunate enough to be introduced to several years ago here on the West Coast. 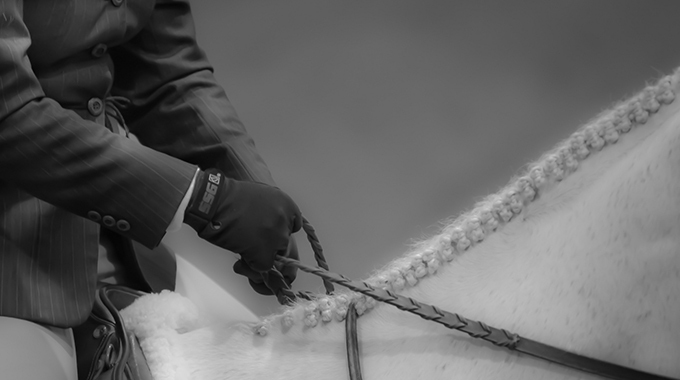 He has helped so many horses – mine and those of clients & associates, and we all rave about his work. He is a consummate horseman with an extraordinary knowledge of the anatomy of the horse. 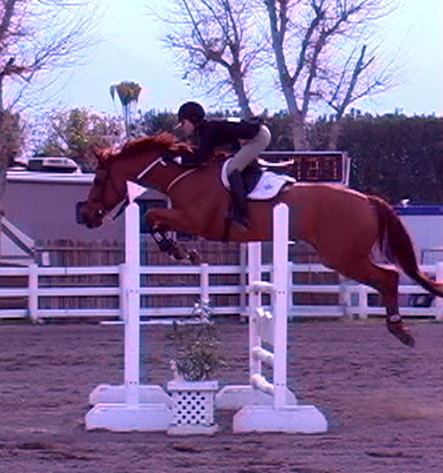 I want to share with you one example of a little miracle he performed on my daughter’s horse, Rocky. He was a very sound horse and one day when I led him out of his stall, he limped out 3-legged, fracture lame. I could not find one single obvious reason for this severe lameness so I immediately called my vet. He performed several nerve blocks from the ground up with no positive results. X-rays revealed nothing unusual. Wow, that was a first for me! I had never had a horse with an elbow out, at least not that I was aware of, and my two vets apparently didn’t consider it either. Now there’s a life lesson! Note to self; whenever there is a mystery lameness, don’t hesitate to call on a therapist you trust!